Looking for a friendly neighborhood electrician? 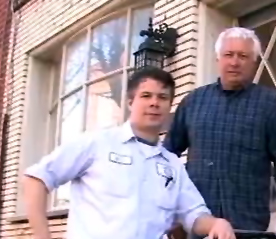 Look no further - we have been servicing the Philadelphia metro area for three generations. Our trained electricians understand any issues you have with electric and lighting in your Philly home. Not to mention, we are the only 203k certified contractor in the area! As an established business, GEN3 Electric wants to build a strong lasting relationship with our customers. We may not be the cheapest in town, but we guarantee that you will receive the highest level of service possible. There’s always a reason why the price is different between one electrician and another, and we NEVER cut corners! Don’t hesitate any longer. If you’re in need of an electrician in the Philadelphia area call us today! We’ll be happy to go over any other estimates you may have received and we will help you to understand the scope of the job and make an educated decision. Don’t forget to connect with us on Facebook for electrical updates! Pretty good post. I will use this. I just stumbled upon your blog and wanted to say that I have really enjoyed reading your blog posts. Any way I'll be subscribing to your feed and I hope you post again soon. Big thanks for the useful info.